The Morris Heights Health Center (MHHC) will hold its 2014 Impact Awards Gala on Wednesday, May 21st 2014 in The Bronx. MHHC is a non-profit community based healthcare organization funded by federal, state and foundation grants as well as private and corporate donations. 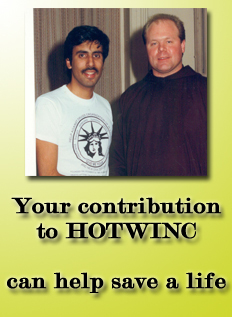 Since 1981, MHHC has been a major provider of health care to the Morris Heights section of the Bronx and the surrounding areas. The MHHC Impact Awards Gala will celebrate three prominent figures in the Community Health Center Movement as well as the MHHC Foundation’s trailblazing and innovative Youth Development Programs. Honorees of the Impact Awards Gala are: Marcia V. Keizs, ED.D., President, York College, City University of New York for the Service of Excellence Award, Brian Doran, Region Executive NY Metro Region & Director of Government Affairs POPULAR, Inc. for the Community Partnership & Excellence Award and Jacqueline C. Leifer, ESQ, Senior Partner Feldesman Tucker Leifer Fidell LLP for the Leadership Excellence & Advocacy Award. MHHC has achieved major accomplishments such as the first community health center to be accredited by the Joint Commission on Accreditation on Healthcare Organization. MHHC spearheaded the Harrison Circle Project; an innovative building complex which encompasses a mixed-use facility housing 70 units of low income for senior citizens, medical space for primary and specialty health care and a pharmacy. The health center is also recognized for its’ Women’s Health and Birthing Pavilion which includes a nationally renowned childbearing center and seven school based health clinics. MHHC also provides an array of mental health services benefiting the community. 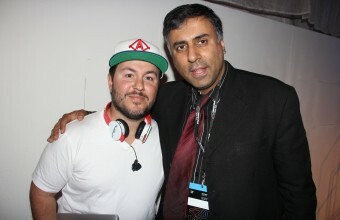 SOL REPUBLIC headphones and accessories can be found in over 18,000 retail locations throughout 56 countries. There’s no doubt what company Microsoft is gunning for here. 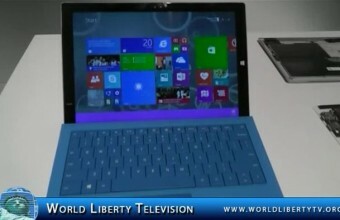 Redmond’s pricing is right up Apple’s alley too, with the Surface Pro 3 ranging from US$799 to a rather steep US$1 949. In comparison, a 128GB Apple iPad will currently set you back around US$799, around US$200 less than its closest 128GB Surface equivalent. Panos Panay, corporate vice president of Microsoft Surface, added his opinions regarding Redmond’s new iPad/laptop-killer. The Surface Pro 3 and a host of accessories however, is available for preorder including Surface Pro Type Cover (transforming the tablet into a laptop, Surface Pen, a Docking Station and a Surface Ethernet Adapter. These will be available to customers in Canada and the US by 20 June, and other nations “by the end of August.” Expect to pay over US$2000 for the full set with the most amount of memory. The Taste of Sunnyside was a HUGE success this year! Thanks to all who attended and helped make it a successful night out in Sunnyside. We hope you enjoyed the food, drinks and entertainment, and that you had a chance to discover your new favorite Sunnyside restaurant. Come for the food, stay for the acoustics! Enjoy your delicious food to the sweet sounds of NYC’s only all-female mariachis Come for the food, stay for the acoustics! Enjoy your delicious food to the sweet sounds of NYC’s only all-female mariachis Mariachi Flor de Toloache, local subway jazz band Sunnyside Social Club and a cappella superstars Ten and Change. 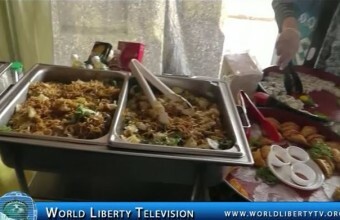 World Liberty TV, Team was on hand to cover The New Taste of Sunnyside Spring time Neighborhood food festival in our World Liberty TV, Food and Wine Channel, see the Vendors and entertainers in our Channel. Laura Posada is a mom, an attorney, a certified master coach, a certified personal trainer a family health and fitness activist, a TV personality, and a philanthropic icon. A modern day “super-woman,” Laura co-produced and hosted 2 seasons of Manual de Supervivencia con Laura Posada (Survival Guide with Laura Posada) which currently airs on Fox Life. She appears on the TODAY Show in NBC to give life coach tips. She also co-hosted “Tu Vida Mas Simple” (Life made Simple) where she provided parenting tips and ideas to make everyday family issues simple to deal with. Laura makes weekly appearances at Univision’s Despierta America as a lifestyle expert. She co-founded the Jorge Posada Foundation, maintains a healthy and fit family, and still finds enough time to write 2 award winning books about it all. In her show, Laura visits families that are facing difficult times in their lives and as a life coach gives them the tools to overcome it all. She takes the time to ask powerful questions and connect with each family. Laura finds what is the root of the problem and helps them move on with a better outlook on life. 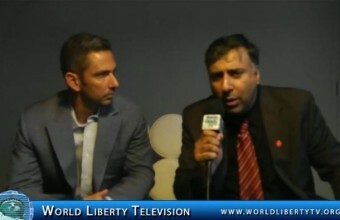 World Liberty TV, Team was on hand at the Clap for a Change event at The Row NYC, see Laura and her guests speak about new humanitarian venture. Jorge Rafael Posada Villeta (born August 17, 1971) is a retired Puerto Rican baseball catcher who played 17 seasons in Major League Baseball (MLB) for the New York Yankees. Posada produced strong offensive numbers for his position, recording a .273 batting average, 275 home runs, and 1,065 runs batted in (RBIs) during his career. A switch hitter, Posada was a five-time All-Star, won five Silver Slugger Awards, and was on the roster for four World Series championship teams. Drafted by the Yankees in 1990, Posada was originally an infielder before moving to catcher during his minor league career. He debuted in the major leagues in 1995, but it was not until 1998 that he found regular playing time. A solid-hitting catcher, Posada established himself as a mainstay in the Yankees lineup and as one of the “Core Four” players who contributed to the Yankees’ winning seasons. In 2003, he finished third in voting for the American League (AL) Most Valuable Player (MVP) Award and became only the second Yankees catcher after Yogi Berra to hit 30 home runs in a season. Posada added one of his best seasons in 2007 at age 35 when he batted .338. Following a stint as designated hitter in 2011, he retired. Posada is only the fifth MLB catcher with at least 1,500 hits, 350 doubles, 275 home runs, and 1,000 RBIs in a career. From 2000 to 2011, he compiled more RBIs and home runs than any other catcher in baseball. He is the only MLB catcher to ever bat .330 or better with 40 doubles, 20 home runs, and 90 RBIs in a single season. Away from baseball, Posada is the founder of the Jorge Posada Foundation, which is involved with research for craniosynostosis, a disease that impacts his son. The Luxury Review is an exclusive press showcase and ultimate shopping experience displaying the latest in luxury products & services. Brands from multiple industries including automotive, jewelry, cosmetics, private aviation, resorts, spirits, electronics, home design and more will all be represented. The invited attendees for this event include members of the press and media industry, editors, product analysts, studio executives, product integration and product placement professionals, tv/film producers, personal shoppers, stylists and affluent consumers. Victor Michael Cruz (born November 11, 1986) is an American football wide receiver for the New York Giants of the National Football League (NFL). He played college football for the University of Massachusetts. He was an undrafted free agent signed by the New York Giants in the 2010 offseason. Cruz was born to an African American firefighter and Puerto Rican mother. His parents never married and his father was killed as a firefighter fighting a fire in 2007. Cruz attended Paterson Catholic High School in Paterson, New Jersey. Against San Francisco 49ers in the NFC title game, Cruz had 10 grabs for 142 yards—all in the first half—as the Giants edged the 49ers, 20-17, in overtime to advance to Super Bowl XLVI. The Giants then won the Super Bowl against the New England Patriots for another Super Bowl title. Cruz has a daughter, Kennedy, with his long-time girlfriend, Elaina Watley. In the summer of 2010, Cruz founded the “Young Whales” clothing line with former teammate Nate Collins. Cruz and former teammate Osi Umenyiora were among the brand’s original models. 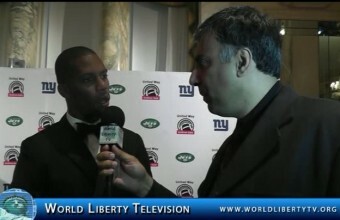 World Liberty TV, Sports Channel Team was on hand at The United Way Fundraiser, for Grid-iron Gala, were Victor Cruz and Joe Nameth were honored. The 19th Annual National Puerto Rican Day Parade (57th Puerto Rican Day Parade of New York) will take place on Sunday, June 8th at 11am on New York’s Fifth Avenue. 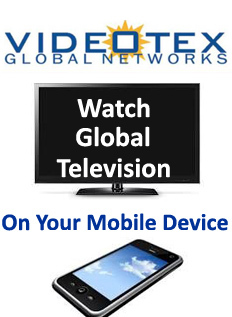 The event will be broadcast live on WNYW Fox 5. This year’s parade will commemorate the centennial birthday of Puerto Rican poet Julia de Burgos, and will be dedicated to the soldiers of the 65th Infantry Regiment, also known as The Borinqueneers. The featured municipalities of this year’s celebration will be the town of Guánica (63 miles southwest of San Juan, population 19,000), in commemoration of the centennial of its founding, and the city of Chicago, home to one of the largest Puerto Rican communities on the U.S. mainland. 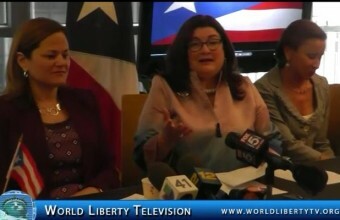 “On Sunday, June 8th, all roads lead to New York City, for the largest celebration of Puerto Rican pride and culture in the world”, said Orlando Plaza of the National Puerto Rican Day Parade. “We’d like to thank New Yorkers, the people of Puerto Rico, and others from around the globe for their enthusiastic support in our mandate to keep this iconic tradition alive”. The 2014 Parade will be a dignified celebration of Puerto Rican cultural and historical legacy, in a safe environment for families to enjoy. “Imagine New York City without the Yankees, Knicks, a bagel or the Puerto Rican Day Parade…impossible”, says Lorraine Cortés-Vázquez. This week, TechCrunch was consumed by Disrupt NY 2014. It was an amazing week, and made even better by the appearance of three hardware companies in our Disrupt Battlefield finals. Mink, an inkjet printer hack that prints out makeup, wowed the audience. ISI Technology reinvented the water heater with the HeatWorks Model 1, and Mimi focused on making hearing enhancement devices accessible to everyone. It’s been a long, tough road, but it’s finally time to crown the winner of the Disrupt Battlefield. This year’s batch was truly awesome. Twenty-seven startups took the stage to present. The six finalists were Boomerang Commerce, ISI Technology, Mimi, Mink, ShowKit, and Vurb. It was an amazing batch with multiple hardware startups, innovative business models and good engineering. But only one could take home the Disrupt Cup. All these startups made their way to the finale to demo in front of our final panel of judges, which were John Borthwick (Betaworks), Roelof Botha (Sequoia Capital), Chris Dixon (Andreessen Horowitz), Marissa Mayer (Yahoo), Brian Pokorny (SV Angel), and Fred Wilson (Union Square Ventures). And now, here it is, meet the TechCrunch Disrupt NY 2014 Battlefield winner Vurb. Vurb is a web and mobile contextual search engine. When you type a query in Vurb, you get everything you need without having to leave the search engine. The company is rolling out search for Places, Movies, and Media. It will soon launch search for add People, Startups, and others. For example, if you search for a film, you get a trailer, showtimes, reviews, a link to watch the movie on Netflix, the IMDb score and more. Following nine years of bringing the professional beauty & fashion industries together, The Makeup Show NYC continued to deliver the largest pro-driven beauty event in the global epicenter of beauty and fashion – New York City! for two days dedicated to Artistry, Networking, Community, Inspiration and Education. Fill your kit with pro-driven essentials. Refine your skill-set in our exclusive hands-on workshops and seminars. Work with FX, Fantasy and Beauty. Explore Business strategies and opportunities during forums & Keynotes. Unite with fellow industry insiders. Network with brands, execs and CEOS. It was a must-attend event for all those working and studying in the beauty and fashion industries! The Makeup Show Icon Gallery showcased Kevyn Aucoin: Beauty and Soul. 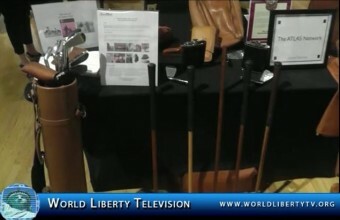 World Liberty TV, Health and Beauty Channel was on hand to showcase the movers and shakers of the Makeup Business, see exclusive footage of these vendors and the products they were promoting. Designer Aslam Hussein did not require any introduction among the fashion buffs. Aslam has nurtured a unique and incomparable style of his own and combined this with a contemporary flair to create and select stunning outfits. He has an intrinsic eye for fashion and all things beautiful. He has also made a name in the competitive world of haute couture. Aslam is renowned among the fashion circles for creating and introducing couture that speaks straight to our hearts and has the magical power to effortlessly transform you to look your best. He makes you feel like you have just stepped out of a Bollywood motion picture- filled with glamour, confidence and sensuality. His early entrance into the world of fashion began at his family-owned tailoring and textile shop, “Geebees and Kaleels” on Perakumba Street in Kurunegala. At the young age of 16, Aslam would spend hours at the shop, learning how to sew and using his imagination to create unique designs. The youngest in a family of eight, the fashion conscious Aslam would always be immaculately dressed, spending time on perfecting his look. “My family realized that I had a knack for designing and style and endorsed my entry into the fashion industry. I acquired a wealth of knowledge in the fields of visual merchandising, fashion designing and business management,” said Aslam Hussein, the Managing Director of Geebees Clothing. Aslam pursued his passion for fashion by establishing Geebees Clothing in 2003, a flagship department store that offers a vibrant selection of handpicked clothes and accessories that are specially designed to suit the fashion conscious men and women of Sri Lanka. “Geebees is a complete department store that sells exquisite, one of the kind Indian Saris, designer bridal-wear, bridal rutines, intricately worked Salwars and Kurtas, formal and casual clothing for men and women, kiddy clothing, handbags, shoes and accessories that helps complete your total look. At Geebees we lay emphasis on helping you create this without a hassle, all under one roof. Every outfit is handpicked by me. Geebees is a market leader in selling the trendiest clothes and accessories to hit the International market,” he elaborated further. They have a tasteful selection of clothes that would glam up your wardrobe from classy kurtas with a local flavor. There are casual tops and skirts with ethnic and floral motifs, shimmering saris in brilliant colors like vibrant blues, reds, pink and flaming reds heavily worked with gold, silver and bronze Zardosi. There are sequins and beads to stylish Sherwanis and kurtas for men, elegant handbags, beautiful jewelry and fashionable shoes that make you feel like royalty. Geebees Clothing caters to a range of diverse clients from diverse backgrounds thus the prices are marked to suit the customer’s budget. His family also owns several garment factories that manufacture shirts under the labels Ebony, Vantage and Flash; formal and casual trousers under the labels free man, lorah, sep-eleven and mark Alfred. 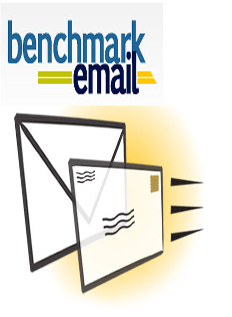 The casual t-shirts under the label of edge are sold at leading retail clothing outlets island wide. Aslam who often travels to India, Hong Kong, Bangkok, Singapore and Dubai, puts his ability to design to good use by creating exquisite saris with innovative designs and colors, stylish shirts and men’s shoes that accentuate one’s beauty and personality. Aslam has presented and choreographed numerous fashion shows at the Hilton Colombo and Ceylon Intercontinental, showcasing designs and creations that spell elegance and cotemporary beauty every step of the way. “My wife is my strength; she understands me, stands by me through thick and thin and supports my every endeavor. She takes care of the kids’ needs and mine. I have three beautiful children, 2 daughters and a son who also support me and encourage me. I’m very proud of my children and thankful to god for giving me this wonderful family” he said filled with emotion. The glitz, the glamour and the constant traveling are no obstacle for Aslam who loves spending time with his family whenever he is free and never misses those special moments in their life. 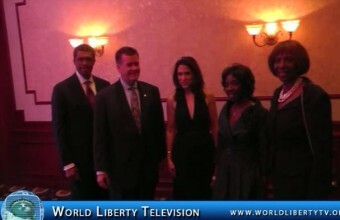 World Liberty TV-Fashion Team was on hand at this historical event at the Sri Lankan Embassy in NYC, to see Designer Aslam Hussein introduce his designs to the USA, for the first time. See for yourself why his designs are one of the best in the industry; right here on our World Liberty TV- Fashion Channel.